The fully equipped kitchen makes cooking at home a breeze! This kitchen offers bar seating and a breakfast nook, so everyone can share a meal together. The formal dining room is a great place for the whole family to sit together and make family memories. There is a highchair provided. With 2 separate living rooms, there is enough room for everyone to have their space when they need it, and also provides enough seating for the whole crew. The Master bedroom has a King size bed, and private access to the pool. This is perfect for sneaking out for some peace and quiet by the pool after the kids go to bed! The master suite also has a huge bathroom! There is a shower AND a tub, plenty of closet space, and a pack n play for the little ones. The second bedroom has a queen size bed and the third bedroom has 2 twin beds. What are you waiting for? 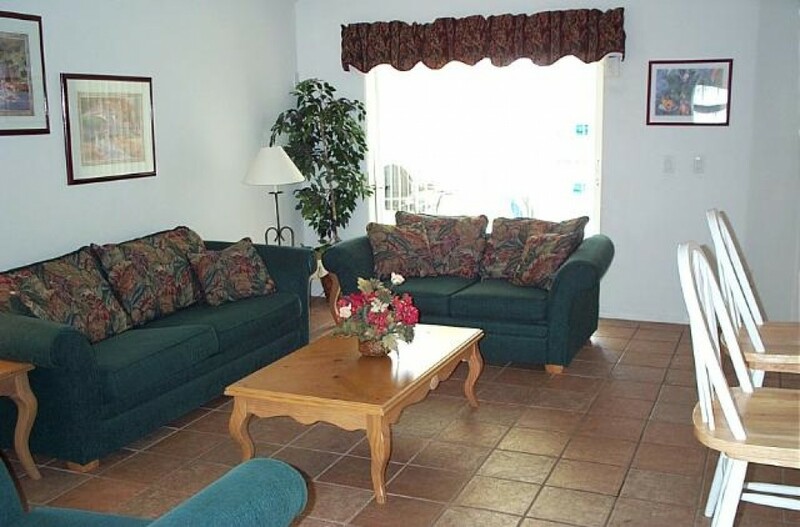 This home has everything you need for complete relaxation, and it's only 4 miles to Disney! The neighborhood is very safe and family friendly. It has a neighborhood playground, tennis court and community pool.